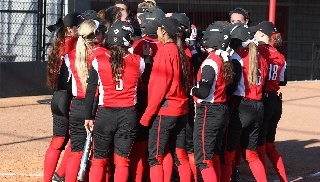 The Youngstown State softball team will play an eight-game fall schedule and will host three fall tournaments, Head Coach Brian Campbell announced. The Penguins will host tournaments on Sept. 9, Sept. 18 and Oct. 2 and will play a pair of games at Akron on Sept. 25. Akron vs. YSU 4 p.m.
Akron vs. Slippery Rock, 6 p.m.
Slippery Rock vs. YSU, 8 p.m.
Robert Morris vs. IUP, 2 p.m.
IUP vs. YSU, 4 p.m.
YSU vs. Akron, 9 a.m.
Notre Dame College vs. YSU, 11 a.m.
Seton Hill vs. Walsh, 2 p.m.
Walsh vs. YSU, 4 p.m.